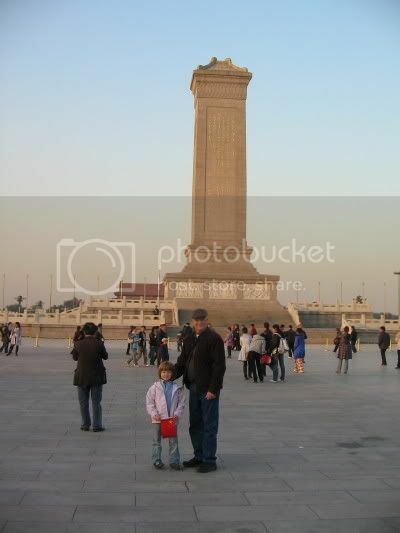 My dad had been planning to retire in October and then make a trip to China to see the sites and visit us! I was so excited to show him the sites, but also interested in his impressions and culture shock. It took us about 1 hour to find each other at the airport because our flight was delayed in Chengdu an hour due to fog. On our first evening we checked into the hotel and then headed to one of my favorite haunts in China, The Bookworm. It is my home away from home in Chengdu and why should it be different in Beijing! We had a nice dinner and went to bed early. On our first day we had strict orders from my Mom to have my Dad have a couple suits made. We went to Yashow market which was conveniently located across the street from our hotel, and found a tailor that was recommended by a lady that used to live in Beijing. We found some stylish fabric and a lovely single breasted suit pattern and had those both made for just a little over $200. We ended up doing quite a bit of shopping as Dad wanted to start buying from a long list of family, friends, etc. After shopping we had a quick bite and we were off to the Forbidden City and Tian'anmen Square. Unfortunately the Forbidden City stops selling tickets at 3:30 pm and we couldn't get in. 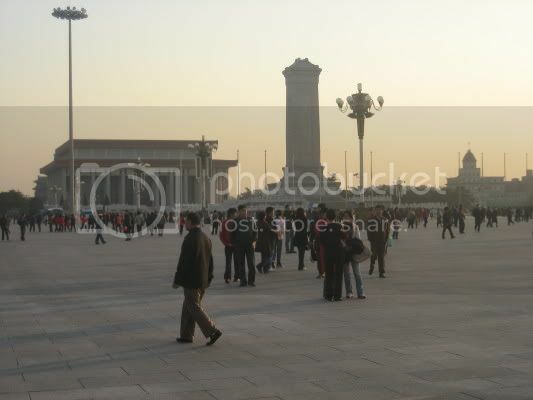 We ended up walking over the Tian'anmen Square to have a look. Here are some of our photos. Gemma flying the flag in the square! 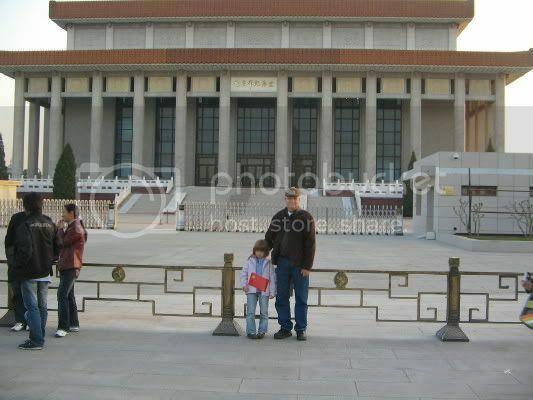 Gemma and Dad in front of Mao's mausoleum. 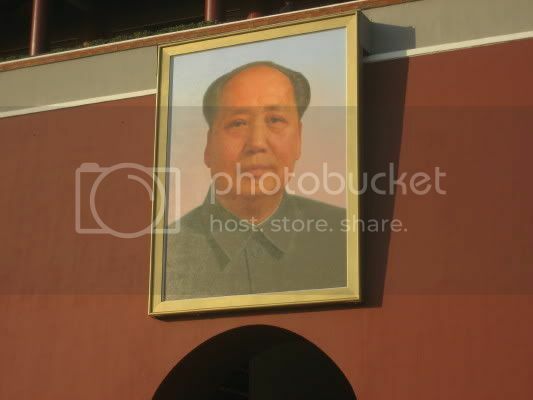 I have tried to talk him out of seeing Mao embalmed, but we are going back on Tuesday. 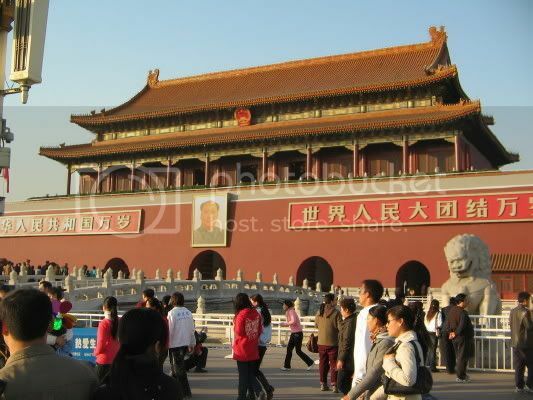 Across from Tian'anmen Square there are a few government buildings and one sports the Beijing Olympic countdown sign. You can see several of these signs all over town. 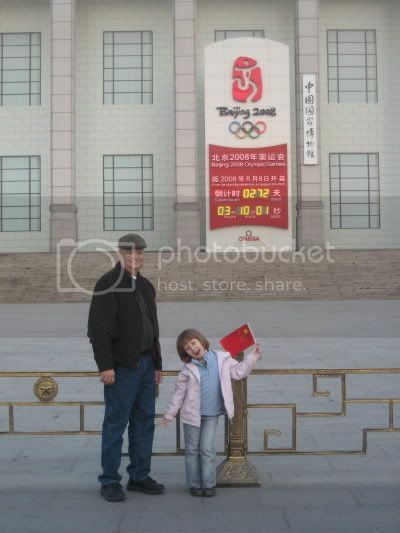 They are all about the Olympics and have tons of shops set up at every tourist site. Yeah, good to see the pictures again. Your dad looks well and Gemma looks happy to be with her grandpa. 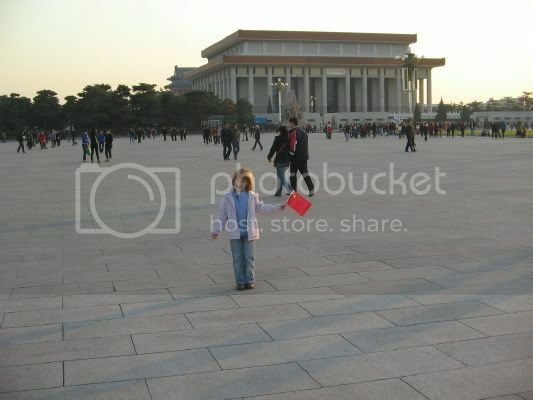 Don't forget to get lots of pictures of the two of you... Will you be in Beijing for your birthday?